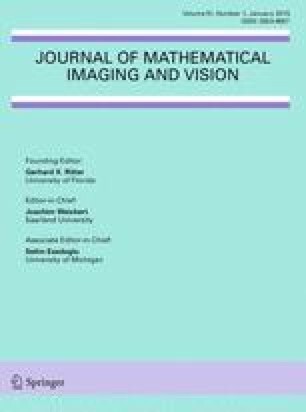 Following the recent work Schaeffer and Osher (SIAM J Imaging Sci 6:226–262, 2013), the low patch-rank interpretation for the oscillating patterns of an image validates the application of matrix-rank optimization to image decomposition. Therein, the problem was mathematically modeled as a separable convex programming with three-block (a total variation semi-norm for regularizing the cartoon, a low-rank constraint for extracting the texture, and a data fidelity term for approximating the target image), and was algorithmically handled by the split Bregman method with inner Gauss-Seidel sweep loops. In this paper, we develop an alternating direction method of multipliers (ADMM) based prediction–correction method for solving the low patch-rank model with all resulting subproblems admitting closed-form solutions. As a surrogate of the direct extension of ADMM, which was recently proved to be not necessarily convergent, the new method is globally convergent under some mild conditions. Numerical simulations are conducted, which demonstrate the promising performance of the new method. We would like to thank the referees for their constructive suggestions. The first author is supported by the National Natural Science Foundation of China (NFSC) Grants 11071122, 11171159, and 20103207110002 from MOE of China. The third author is supported by NFSC Grant 11301055. Hong, M., Luo, Z.: On the linear convergence of the alternating direction method of multipliers, arXiv:1208.3922v3 (2013).